If a long period of time passed since you last used your printer, I am sure that you already forgot how expensive printer ink really is. Nowadays we do need less printing done for personal reasons and when we are at work, we just tend to use company resources. In fact, even when we need to print something for personal reasons, we do it at work or even at a friend’s house. 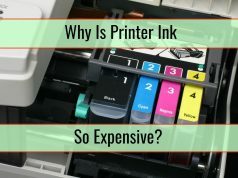 How Expensive Is Printer Ink? A few days ago I decided to start using my HP printer again since I need to print some flyers for a drama play that I am directing. My Office Jet printer still works but I do not have ink for it anymore. Just like every single person that uses the internet a lot, I jumped on Google and started looking for the cartridge that I needed, the HP 74 XL Ink cartridge. As you most likely imagined, among the first results we can find the official HP web-shop. 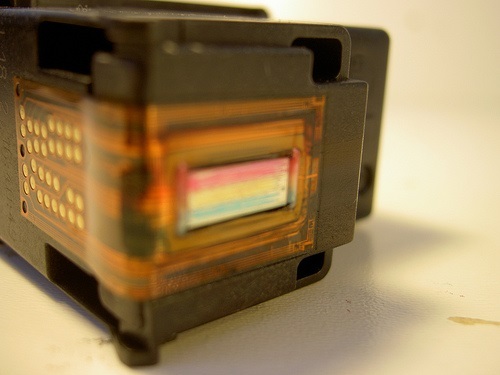 It makes sense to want to buy a genuine cartridge that is made by the manufacturer of the printer, right? The cost instantly hit me hard when I saw it. The HP 74 XL costs $41.99. That is definitely too expensive and I would never want to play so much for a black ink cartridge. Since Amazon usually has great deals on most electronics and accessories, I also looked there. The price was 35.45 with a discount. The lowest price I found for the HP 74 XL black ink cartridge was $30 in Australia. However, that cartridge was compatible. The genuine cartridge on the same store was priced at around the same amount as on Amazon. After talking to a friend about this, he told me that he buys all his ink cartridges from eBay. However, he also pointed out that there are times when the cartridges bought do not work but that is not actually a problem since the prices are at around 10% of what I could find on Amazon. Although this is tempting, I wouldn’t pay $3 for an ink cartridge since that is definitely too risky. The printer can get damaged if the ink is bad and that is not something that I am willing to risk. I ended up buying a compatible cartridge at the best price I could find, including shipping and handling fees. Obviously, printer ink is expensive. 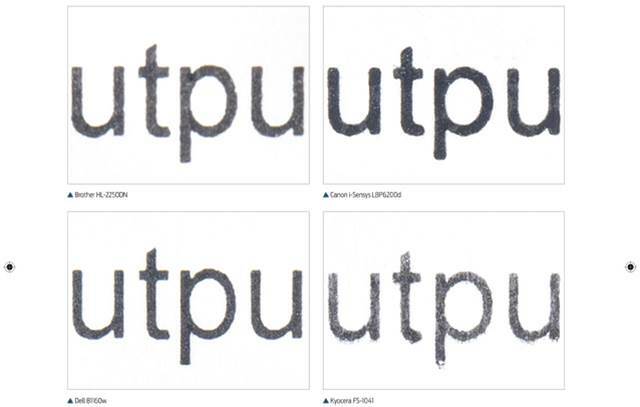 The best thing that we can all do is try to save as much ink as possible while we print. After conducting extra research about this topic, I learned some pretty interesting things that I am quite confident you will love hearing about. That is why the title about talks about 3 tips to help you save printer ink. This instantly helps you to save money. You are most likely not aware of this but it is a huge problem that we always tend to overlook. The printer ink in any cartridge is sensitive when referring to hot and cold temperatures. When the temperature is too high, ink will actually evaporate faster and also dry faster. It is a very good idea to install the printer in an area that is properly shaded and cool. There are many (including myself) that kept the printer close to the window on a desk. That is bad since the temperature is higher than as light comes in through the window. 2. How Do You Power On And Off? This is quite important and most people do not know about it. When you turn off the printer manually, your cartridge will be properly placed and there is less exposure to air. By simply just turning on the printer when it is needed, you save printer ink and money. If you keep leaving the printer on, the air exposure is higher. The same thing happens when you do not properly turn it off. 3. Print At Least Once Weekly! It surely seems weird that you can save ink and money when you constantly print but this is actually a really good tip. If you do not use the printer every few days, ink starts to dry. Less ink remains available for the actual print job. In addition, modern HP printers and some from other manufacturers will go through a special maintenance check when the printer is not used often. That consumes ink. You will be able to save ink by simply printing some text once per week.